The purpose of this web site is to provide access to information on available resources for successful living in every area of life including personal, professional, organizational, community and global. Our objective is to help individuals, organizations and communities realize more of their potential and enjoy expanded capabilities to address the increasing global social, economic and environmental challenges we face on what Bucky Fuller referred to as Space Ship Earth. An overview of many of the individual program components is provided at www.UltimateDestinyland.com. The organizations initially involved in this Expanding the Circle of Success Campaign seek to promote and facilitate Lifelong Learning of Successful Living Skills. We plan to provide the full spectrum of resources ranging from Basic Successful Living Skills (such as goal setting, time management, financial literacy, etc. ), to what we refer to as Master Successful Living Skills, Ultimate Successful Living Skills and Spiritual Successful Living Skills. An initial list of the various types of resources that would be provided within each of these categories including exercises and supplemental resources is provided later on the page. 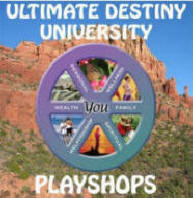 Many of the initial resources have been developed by CENTER SPACE (the Center for Spiritual, Personal And Community Empowerment) and Ultimate Destiny University, two non-profit organizations based in Sedona, AZ and San Diego, CA.. For example, the 14 interactive programs contained within the Ultimate Destiny Success System (UDSS) from Ultimate Destiny University include pre and post self-assessment quizzes, featured resources, application exercises and tools for planning what priority action steps to take to achieve your ultimate success in each of the 14 areas of successful living. The following information on the significance of Life Long Learning is excerpted from Chapter 12 of the 14 titles in the Ultimate Destiny Success System Library. What does it take to be successful? There are as many strategies as there are definitions of success. But most successful people agree, there are a few things you must be able to do in order to succeed. We call these the Essential Successful Living Skills. 2. Setting and managing goals. 5. Effectively managing income and resources. 1. Look up. Maintaining a positive outlook or positive mental attitude requires practice and careful attention to what you think about. Our attitudes are mostly habit, and habits can be changed. If you train yourself to think about your present situation, the past, and your future in a positive light, you will have mastered this skill. 2. Write it down. Goals are important, and specific, written goals are a major factor in success. One study showed that college students who recorded their skills were much more likely to have reached those goals when followed up decades later. Choose goals for the near future, for a bit farther out, and for the distant future. Record them now. Review them frequently. 3. Get started. To be successful, you must be able to get yourself off Ground Zero and put yourself in motion. Some people are motivated by desperation, while others are inspired by faith. You might have a hero or heroine you want to emulate. Some of the most successful people have received negative messages early in life and have been motivated by a desire to prove these nay-sayers wrong. Whatever it takes, you must find a source that motivates you to take action. 4. Use time wisely. There are a limited number of hours in the day, and we each have a limited number of years in our lives. Each moment is precious and filled with potential. To be successful, we need to recognize the time-wasters in our lives, and fill that time with activity that moves us toward our goals. Schedules may seem restrictive, but they actually allow you the freedom of knowing you are on track and moving ahead. 5. Manage resources. 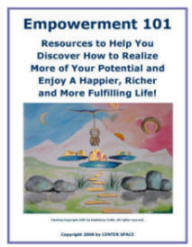 Mastering our use of money and resources may prove to be the most challenging of the Essential Successful Living Skills. 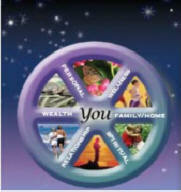 Yet knowing exactly what you have, what you owe, and what you can earn is a key element to success. Staying out of financial debt and saving for the future helps relieve stress and puts you in a better position to reach your goals. 6. Meet challenges. The path to success is never a smooth one. There will be obstacles to overcome. But remember, the Chinese language has a single word that means both “crisis” and “opportunity.” Each crisis is an opportunity for you to apply your creativity. Within the solutions you find as you solve problems creatively, there will be much information and many additional resources. 7. Reduce stress and overcome fear. Stress is a natural reaction to the challenges of life, and the more you try to accomplish, the greater your stress might be. But at the root of all stress is fear: fear that you will fail, that you won’t have enough or be enough or do enough to succeed. Release that fear, and your stress level declines. Dealing properly with stress may be the most important Essential Successful Living Skill, because when stress is out of control, nothing else can be effectively accomplished. 8. Hold the vision. Life is complicated and full of surprises. Things change every day. 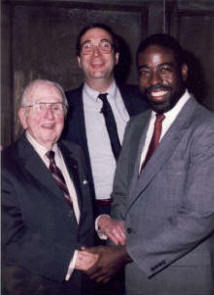 In the middle of this, if you are to move forward toward success, you must keep a tight grip on your vision of success. 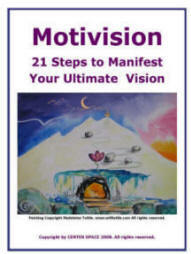 Use affirmations, visualization, and meditation on your goals to remember your vision and hold it fast. Then each choice you make will take you in the right direction. 9. Listen to your heart. When you’re in a situation where you must make a choice, who knows how to choose? You do. Your heart will give you all the guidance you need, if you learn to relax and listen to it, and honor its wisdom. This Essential Successful Living Skill requires practice and patience, but it works every time. Your instincts are powerful. Know what you feel, have faith in your own inner wisdom, and decide accordingly. 10. Embrace change. Success is a puzzle, and it’s one in which the pieces shift constantly. There is no solution you will ever find that applies forever, in every situation. To be successful, you must be able to “think on your feet” and shift your perspective as the situation shifts. Flexibility—your willingness to embrace change and develop new strategies—will get you farther than any single strategy. 11. Communicate. To be successful, you will need to be able to not only have a vision of what you want, but also be able to describe it fully. Give your vision as much detail as possible. Know how to express your thoughts and desires to others who may be able to help. Learn the language of your dream so you can share your vision. 12. Collaborate. Few successful people have gotten to the top alone. No matter what strong skills you possess, there will be other skills you still need to develop. Find people who already have these skills, and form an alliance. The power of such collaborations is greater than the sum of its parts. Learn to work with another person and each of you will reach your goal faster. Form a mastermind alliance of skills and talents, and watch your goals and successes expand exponentially. 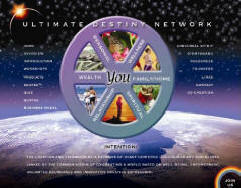 Article by Kimberley Jace from the Ultimate Destiny Success System. ©2009 by Ultimate Destiny. All rights reserved. 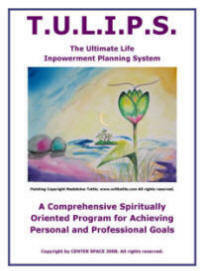 and organize resources in pursuit of commonly defined goals." 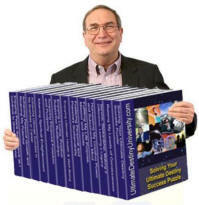 the Ultimate Destiny Success System, we state that these publications offer advanced training in some of the most essential successful living skills for the 21st Century. We invite you to compare the answers they gave repeated below with the 12 main E-books in the Ultimate Destiny Success System and the list of Ultimate Successful Living Skills available from Ultimate Destiny. of sales. He produced some of the world's best programs on Positive Mental Attitude, Goal Setting, Motivation, Financial Success and Time Management (all of which are available through Ultimate Destiny). What successful living skills would you add to those in the table above? Please share your feedback, recommendations and questions. There is no point at which a person masters all the skills of successful living. 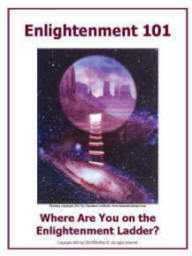 Even in your strongest area or two, there will always be much more to learn and new ways to apply that knowledge. Commit yourself now to lifelong learning, and the journey will be eternally interesting and rewarding. Apply at least something from this course, and build on it consistently. Change does not always come easily. Trying to do too much too quickly can backfire. Do what is manageable, never forgetting that your potential, your full potential, is much greater than you think. Review your progress frequently and come back to this information often for reminders and refreshers. One of the great things that happens when you are on a path of personal growth and actualization of your potential is that your mind is suddenly more free and begins to look at the whole of life in a more creative and enlightened manner. As you do so, we invite you to help further evolve and expand the following initial inventory of available resources for Successful Living Skills. (4) Financial Freedom, (5) Worthy Goals and Ideals (6) Self-knowledge/self-understanding and (7) a Sense of Personal Fulfillment." Ultimate Destiny Success System Library -- A Comprehensive "University for Successful Living"
CAN DO!, You CAN DO! Too, and YOUth CAN DO! Teleseminars, Webinars, Pod Casts, etc. Hay House and Can Do It! NOTE: The forthcoming adaptations of these classic public domain works are just one facet of the focus on Infopreneurship. The web pages will be developed later in the Fall of 2010. The shared vision of the non-profit organizations (NPOs) and cause oriented companies participating in Ultimate Destinyland is to help establish an international network of local non-profit Centers for Successful Living and Community Economic Development Empowerment Resource Centers that provide expanded access to state-of-the-art development training programs for Lifelong Learning of Successful Living Skills for the 21st Century. To facilitate that vision, which is presented at www.UltimateSuccessPuzzle.com, Ultimate Destiny offers its programs, products and services on a Pay What Its Worth To You donation basis. In addition, through the Ultimate Fundraising Program, Ultimate Destiny will donate 50% to 110% of any donations it receives for its programs back to any participating NPO that helps distribute educational programs such as the Ultimate Destiny Success System Library. 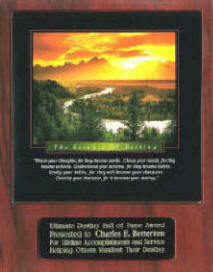 Ultimate Destiny will also provide access to its publications and programs on a donation basis to NPOs such as United Ways, community development agencies, community action agencies, centers for independent living, civic organizations, libraries, educational institutions, churches and other social services agencies. That includes rights to reprint and distribute the Ultimate Destiny intellectual properties through seminars and workshops that would be facilitated by the participating NPOs and generate revenue for the NPOs. Ultimate Destiny is presently seeking corporate sponsors (and our donations through CENTER SPACE) to help accelerate maximum distribution of the hundreds of programs and thousands of pages of original content it has created including Ultimate Successful Living Skills for the 21st Century. For more information, please contact Charles Betterton at 928-284-2671 or send an email to charlesbetterton@gmail.com. Thank you! Copyright 2010-2012 by Ultimate Destiny University. All rights reserved.